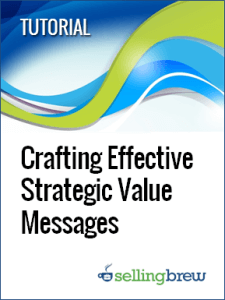 The 3 main ingredients for strategic value messages and the one critical question they always need to answer. The 2 things you need to know in order to show how your offerings deliver value better than the competition. The simple and straightforward structure you can use to develop powerful value messages for your offerings. How it all comes together through helpful and intuitive examples that clearly illustrate the basic structure.